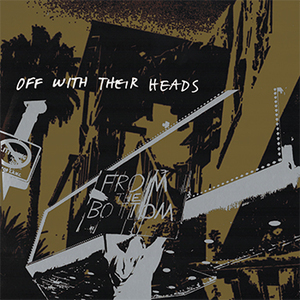 Formed in 2002, Off With Their Heads went through a slew of musicians before finally cementing the lineup with Ryan Young on vocals/guitar, Justin Francis on drums, Zack Gontard on guitar and Robbie Swartwood on bass. Since their inception, the band has released an impressive catalog of music including seventeen 7"'s, one LP and a few comps, and has toured relentlessly in US, Europe, Canada and Japan for the past five years with bands like Against Me, Youth Brigade, The Bouncing Souls and Municipal Waste to name a few. It was during Off With Their Heads' 2009 tour with Against Me when the band got the call from Epitaph's owner/president Brett Gurewitz saying that he was a fan of the band. 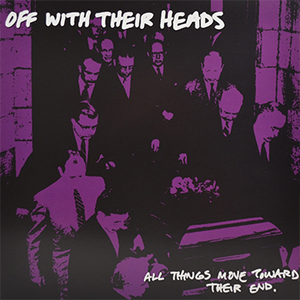 "Off With Their Heads might be the best punk band going right now, Epitaph needs them; music needs them," says Gurewitz. 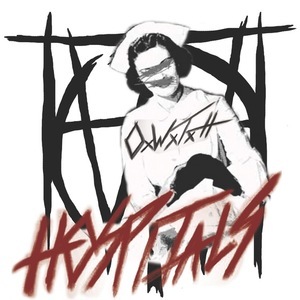 "I remember the first time I'd heard of Epitaph," Young adds. "It was when I was in junior high and Rancid had just released Let's Go. I saw the video, and immediately went and bought the record. I got into the compilations, and that started me on the road to finding all these great aggressive catchy punk bands. Living in a small farm town, I had never been exposed to this kind of music before, and from there I learned about punk. I guess you could say Epitaph was my gateway into everything that I would wind up becoming. For that reason alone, I am ecstatic to be a part of one of the biggest influences on my life." 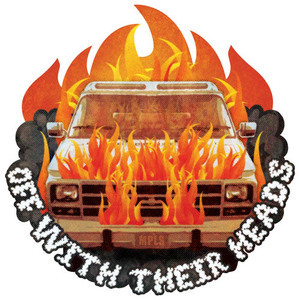 Off With Their Heads are well on their way to carving out their own punk rock story with their modern take on vintage punk fueled anthems. As the band begins the next chapter of their career they took the time to record their best album to date. "We recorded our record in Minneapolis at a studio called The Terrarium," says Young. "This is where most of the great sounding records that come out of town are recorded. I think the difference between this record and our last one is that we have enough time to make sure everything is tracked and mixed the way we would like it to be. We have never in 6 years had more than 2-3 days in a studio, and there have been parts on every recording that I'd wished we would have fixed and not used the old "good enough" excuse. The songs stylistically are a mix of something from every record, which is great." When asked about the new music, Young says "it's a good mix of driving aggression and also mid tempo pop. Those are our two strong suits, and I'm hoping they shine through as well as they have in the past. Lyrically, it's about the good and the bad things of the lifestyle that I've chosen for myself." Off With Their Heads: "I Will Follow You"